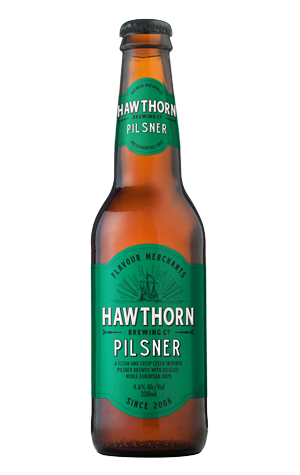 One of very few pilsners found in any Aussie micros year round range, Hawthorn's Pilsner first appeared as a seasonal before its popularity demanded it stuck around. A regular winner of People's Choice for best lager whenever Hawthorn pop up at beer festivals, it's another beer that stays true to the European beers upon which it's based. It has a distinct traditional pilsner aroma: herbaceous, lightly spicy, with a touch of lemon, straw and mild sweetness from the pilsner malt. It pours a lightly hazy pale yellow with a white head atop its smooth, almost creamy body, with a suitably cleansing bitterness coming in at the end.